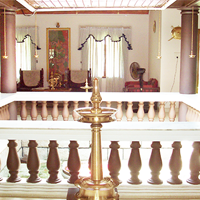 The artistically landscaped Ayuryogashram is located in the serene Parlikad village on the outskirts of the Poomala Forest Hills near Thrissur in Kerala. An ancient temple of Lord Dhanvanthari, who is regarded as the apostle of Ayurveda, is situated close to this herbal village. 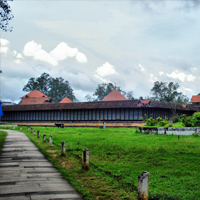 Ayuryogashram also lies en-route to the famous Kerala Kalamandalam, the deemed university for Kathakali Arts and other local Performing Arts and Dance forms. 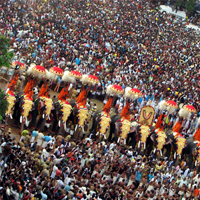 Ayuryogashram is well-connected by road, rail and air. To take some time off from our hectic schedules and to help our bodies heal, repair detox and relax is in itself a gift we are giving ourselves. Therefore, to aid in your complete rejuvenation and revitalization programs, to be completely relaxed and stress-free, we at Ayuryogashram, have devised and designed a couple intuitively thought-out packages that are aimed both individually and collectively and comes with bountiful advantages. Therefore, listed below are a few well-rounded packages that would help you experience the ultimate in relaxation individually or in the company of family or friends. Corporate wellness programs are now an accepted way of improving employee morale, confidence and productivity. Corporate wellness programs are now an accepted way of improving employee morale, confidence and productivity. Senior managers in many companies have seen distinct gains from undergoing such programs, if not often, at least once a year. Many senior executives working in almost any industry suffer from health issues and problems owing to busy schedules, sitting for hours together, lack of exercise, physical inactivity and no strict diet. Therefore the common problems they face are backaches, joint pain, insomnia, knee problems, lifestyle diseases like BP, diabetes, cholesterol and digestive disorders. At Ayuryogashram, our wellness plans and packages would help synergize your body, mind and your inner being. We help achieve this with wholesome Ayurvedic rejuvenating and invigorating therapies, massages, treatments, hatha yoga techniques and meditation. At Ayuryogashram, our wellness plans and packages would help synergize your body, mind and your inner being. We help achieve this with wholesome Ayurvedic rejuvenating and invigorating therapies, massages, treatments, hatha yoga techniques and meditation. We follow our own in-house treatment plans and combined with varying techniques and therapies, set in natural surroundings will definitely help enhance your sense of wellbeing. All of us are unique and different; therefore, after an initial consultation and screening, we do chart out the course of therapies for the individual depending of course, on individual liking, body type and constitution. Our customized detox programs are aimed at both the mind and body that helps stimulate your senses, cleanse you from within, de-stress you and thus improve overall health. The package includes Accommodation, F&B, and two sessions of Ayurvedic treatments, a session of Yoga everyday f5r the duration of the treatment. The duration of the treatments or therapies range between, 5, 7 to 14 days and the tariff is applicable for both single occupancy and double occupancy rooms. If extra beds are required, charges are as applicable and the rates for the same may be ascertained from the office. 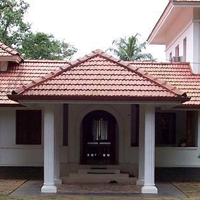 At Ayuryogshram we aim to offer personalized experiences that are wholesome and complete. Our work, responsibilities and hectic lifestyles are thorns that come in the way of our bonding and family time. The more time we spend outside, the lesser time we spend at home with family and children. Our work, responsibilities and hectic lifestyles are thorns that come in the way of our bonding and family time. The more time we spend outside, the lesser time we spend at home with family and children. An occasional family holiday or a getaway helps. Or even a planned trip, discovering newer places are also a nice way to spend time together. Keeping in mind these requisites and the advantages of family time, we do offer special, customized family packages wherein we have something for everyone. Spending some time in our environs would definitely be time well spent and you could also feel absolutely relaxed and revitalized. The package would include therapies, sessions and programs that are both individually and collectively designed and offered. The package includes Accommodation, F&B, and a session of Ayurvedic treatments, and a local sightseeing trip in and around Thrissur. It also includes a Consultation with our physicians. The duration of the package range between, 5, 7 or 14 days and the tariff is applicable for both single occupancy and double occupancy rooms. If extra beds are required, charges are as applicable and the rates for the same may be ascertained from the office. For a quick getaway, a short holiday, to relax and rejuvenate, to detox and augment your overall being, you could opt for our tailored weekend packages that we offer in our Ayurvedic resort, Ayuryogashram. 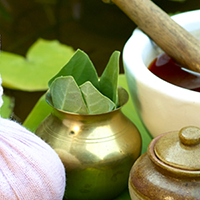 For a quick getaway, a short holiday, to relax and rejuvenate, to detox and augment your overall being, you could opt for our tailored weekend packages that we offer in our Ayurvedic resort, Ayuryogashram. Therefore, the next time you have some time on your hands and you would like to unwind and feel invigorated, you could consider an all-inclusive Ayurvedic weekend in verdant surroundings. The package includes Accommodation, F&B, and two sessions of Ayurvedic massages, consultation with our physicians, a yoga and meditation sessions. The duration for this treatment ranges anywhere between, 3, 5 to 7 days. Ayuryogashram has determined holistic wellness packages that are centered on our changing seasons. Have you heard about monsoons in Kerala? Would you like to experience a monsoon season here? Ayuryogashram has determined holistic wellness packages that are centered on our changing seasons. Have you heard about monsoons in Kerala? Would you like to experience a monsoon season here? In the backdrop of steady rains, lush green, scenic landscape and environs, the smell of the wet earth and wetness all around, the touch of the tropics just envelop us and we willingly surrender to this overpowering effect. 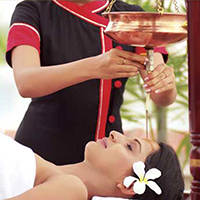 Ayurveda recommends a monsoon rejuvenation program. 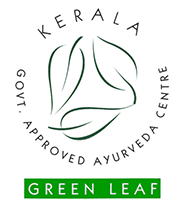 Commonly known as ‘karkidaka masam’ in Malayalam, this refers to the monsoon month and the rejuvenation therapies and special diet to follow to help completely detox our bodies. This seasonal Ayurvedic therapy is a must experience. Additionally, depending on our clients’ needs and requests, we do offer personalized seasonal packages during the spring, summer and winter months. The package includes Accommodation, F&B, and two sessions of Ayurvedic massages, detoxification programmes and herbal facials. The duration of the treatments or therapies range between, 7, 14 to 21 days and the tariff is applicable to both single occupancy and double occupancy. Extra bed charges are applicable and the rates for the same may be ascertained from the office. If you are guest of Ayuryogashram, then you can opt to be a part of our loyalty program initiatives. 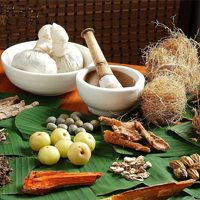 Depending on your package, the therapy durations and the Ayurvedic treatments you have undergone, we offer points that can be accumulated and every time you visit, you earn points which can be cashed in for future complimentary services. 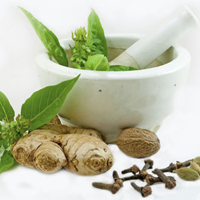 The accrued points can also be shared or given to a friend or a family member who in turn can visit us and enjoy our Ayurvedic services. As a guest of Ayuryogashram, we know that you were very pleased and happy with our services, ambience, location and of course our competitive pricing. As a guest of Ayuryogashram, we know that you were very pleased and happy with our services, ambience, location and of course our competitive pricing. Therefore, as a token of your appreciation, you could gift a wellness or an Ayuryogashram gift coupon to your friends or even a family member so they could visit us and experience the ultimate in relaxation. This way, you have gifted wellness, a thoughtful gift for an occasion, shared your rejuvenating experience and thus encouraged healthier living.